There is a change afoot in the way the world works. In 2014, FastCompany speculated whether 50% of the workforce will be working remotely in some way by 2020. Last year, a Gallup survey found that 43% of Americans had worked remotely at some time, up from 39% in 2012. Not 50% yet, but it’s not impossible to think that FastCompany’s speculation will bear out. A virtual office was a radical idea until a few years ago. Today, no one will bat an eye if you tell them that your business employs remote workers. For creative agencies, in particular, hiring remote workers makes a lot of sense. Without the limitations of physical locations, agencies can hire the best creative people for the job. The lower office rent is, of course, an added bonus. How exactly do you hire remote creative workers? What tools and strategies should you use to ensure a smoother hiring process? Once hired, how do you manage and motivate your creatives? I’ll answer all of these questions, and more below. Lower rent: For many agencies, rent is one of the biggest line item expenses. The more remote workers you have, the lower this expense. Lower office expenses: Besides rent, you also have to pay for furniture, office equipment, internet and electricity. A virtual office cuts these expenses almost completely. Save commute time: Shorter commutes = happier employees. And as Fortune points out, happier employees = more productive employees. Cheaper workers: A location independent agency can hire employees from cities with a lower cost of living. This way, they can save on salaries while still paying their team competitively. However, these are rather superficial reasons to hire remote people, especially in the agency context. Lower office expenses are nice to have, but unless you have a very large company, it won’t make a dramatic impact on your business. Access to better talent: Creative agencies and startups live and die by the quality of talent they can attract. And an increasingly larger share of the world’s best creative talent prefers to work remotely. Ability to scale (or shrink): Agency work is often erratic, especially if you do a lot of project-based work. Hiring a remote team gives you the ability to scale or shrink as needed.. I can’t underscore the importance of being able to hire better talent. There is no dearth of creative talent in the world. It’s just that in the internet age, this talent can and wants to work for itself, on its own terms. There’s also the fact that hiring remote workers gives you the freedom to mold your business the way you see fit. You can go lean and hire only key execs and managers, leaving the actual creative work to your remote team. This flexibility allows you to respond to market needs much faster. Instead of lugging around a large in-house team, you can adopt a modular approach, adding/removing creative skills as necessary. Even large agencies like DDB have started adopting this approach. Lower expenses, better talent, more flexibility. Clearly, there’s a lot to gain by hiring remotely. But how exactly do you hire talented remote workers? First step: figure out whether you even need to hire new people or if you just need better management of your existing resources. This article will help. If you do need to hire new people, you'll find that this is one of the biggest challenges in shifting to a remote model. You have to find, evaluate and onboard new people often without even meeting them face to face. This is a source of a great deal of apprehension for many businesses. I’ll show you a proven process for hiring remote workers below. One of the first issues you’ll have to contend with in the remote hiring process is choosing between freelancers and full-time employees. Freelancers are a part and parcel of most agency rosters. In fact, one creative agency survey in 2015 found that 80% of agencies were employing freelancers. Need a specialized skill for a one-off project: For instance, if you don’t routinely create videos, you don’t have to hire a full-time video editor. In the above survey, 34% of agencies said this was their no. 1 reason for hiring freelancers. Don’t have enough work to justify the position: This is particularly true if you do a lot of project work and don’t have enough billable hours. Need access to talent quickly without going through the time-consuming hiring/training process. Need to scale an easy, repetitive task such as data entry. Need flexible availability for “always on” projects. Think of freelancers as “mercenaries”. They come in when you need them, do the job and leave when the project is over. Any time you find using a freelancer’s services for more than 20-30 hours/week regularly, you’d do better to have someone full-time. Also, consider the amount of training any freelance hire will require. Any investment in training is essentially “wasted” on a freelancer if they work on a short, one-off project. If the training requirements are excessive, it’s better to invest in a full-time employee. Hiring freelancers is trickier for startups and small businesses. While there are situations where you’ll need one-off talent - such as creating a logo - startup needs are usually better served by full-time employees. Simple: freelancers and startups have different motivations. You can’t make rapid iterations if you have to reach out to your freelancer and ensure his availability every time you have a new idea. Creative work where you don’t have the budget or the volume to justify hiring someone full-time. Manual, repetitive tasks that are better outsourced or offshored to cheaper workers. One-off tasks where you need access to top-tier talent without having to hire them full-time. For most other cases, you’ll do better hiring someone full-time. This is particularly true for your startup’s core functions (such as product or operations). Once you’ve figured out whether you want to hire a freelancer or a full-time creative worker, head on to the next section. It takes a special kind of person to make a successful remote worker. I’ve seen far too many great in-house employees struggle with responsibility and deadlines when shifted to remote work. This should be your template for finding good remote workers: self-starters who can combat distractions and deliver on deadlines. Communication skills: Communication skills are particularly important when you’re doing remote work. Clear written (over email and chat) and oral communication (over Skype/video) is a must. Since written communication can come across as terse, look for people who have a naturally friendly writing style. Ability to self-manage: Since they’ll be working without supervision, it’s crucial that your remote workers know how to manage themselves. They should be able to set their own priorities and meet deadlines. Motivated to find work themselves: Ideal remote workers are able to find something meaningful to work on even if they don’t have a task list. Essentially, you’re looking for people who have some background in being independent workers. Freelancers, people with a startup background and former entrepreneurs make for great remote workers. In addition, look for people who have some form of social life and support system outside of work. It’s not unusual for loneliness to creep in when you don’t have the social system of office colleagues. Sure, regular video chats help, but it’s not an adequate replacement for face to face interaction with another human being. Finally - and I can’t underscore its importance - look for people who align with your business’ values. This is hard to define but it will have a marked effect on the success of your remote hires. Remote job boards: There’s a whole range of job boards for remote workers - FlexJobs, WeWorkRemotely, SkipTheDrive, VirtualVocations, Dribble Jobs (pick “remote/anywhere”), RemoteOK, JobEspresso and Outsourcely are some popular options. Keep in mind that most of these job boards focus on tech positions, though you can find a number of designers on them as well. Remote work newsletters: These are newsletters that go out to people looking for remote jobs. Top among these: JobScribe, Remotive and WeWorkRemotely’s email newsletters. Your network: This should be the first place when you start your search. Tap into the network of your clients, existing employees, partners and social followers. Your blog and email newsletters: If you have a blog or email newsletter, make sure to advertise your open positions on them. I’ll show you examples of such posts below. Your website: Place a “we’re hiring” link prominently on your site. Since you have complete freedom here, you can make your business look more attractive to prospective employees. HackerNews and Reddit hiring threads: HackerNews has a monthly “Who is Hiring?” thread that’s grown quite popular for tech roles. Reddit’s /r/startups, /r/forhire, /r/designjobs, and /r/telecommuting are good subreddits for finding remote workers as well. Some of these platforms are paid, but many are free. There is certainly some hustle involved in finding good remote workers; it’s not as simple as placing an ad on Monster and queuing up interviews. The question now is: how do you write a remote job ad that actually gets people interested? Writing an ad for a remote role is a different beast than writing a conventional job ad. Given the nature of talent you need - independent self-starters who agree with your values - you’ll want to create an ad that highlights your strengths and weeds out poor candidates. This is crucial - unless you know what the job truly involves, you can’t really create an attractive job post. Failure to do this results in generic job ads that get you generic candidates. How exactly do you overcome this? Essentially, get someone from your company to fill the role for a week or so. List down everything this person needs to do to be successful in that role. This should form the base of your job description. Be as detailed as you need to be. It’s far better to receive 1 relevant application than 100 irrelevant ones. Your culture or “values” deck is a simple document highlighting your business’ values, culture and beliefs. Better communicate your values to potential hires. Value alignment is critical for the success of your remote workers. Highlight these values in your job description. A job ad on a relevant job board. 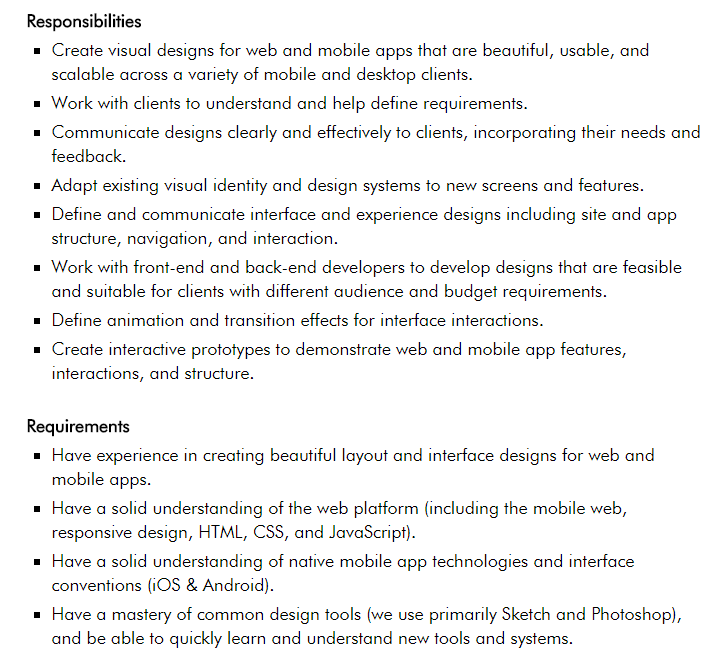 A landing page describing the job. The landing page has quotes from existing employees, plenty of visuals, a video and a long FAQ. The landing page includes a form where candidates can enter their details and submit the application. This tiered approach helps communicate your business’ values while still weeding out candidates. Additionally, the landing page can serve as a “we’re hiring” page as well. If you’re a startup or small agency, you have the added challenge of communicating your “why” - why should a candidate work with you and not a bigger company?According to Groove’s Alex Turnbull, one way startups can compete against bigger competitors is to highlight its impact, autonomy and culture. Use appropriate language in your job ad to highlight these aspects. Tell candidates how they’ll be working on important problems and leading projects instead of being yet another cog in the wheel. Show them how you work and give autonomy to all employees. Groove’s “We’re Hiring” page is a good example of communicating these values and perks clearly. Once your job ad is up, you’ll have applications streaming in. This can quickly become overwhelming. It’s helpful to have a system in place to manage and evaluate candidates quickly. Create a Trello board visible to every stakeholder in your company. Use it to manage all applications. Use Google Forms to accept applications. Alternatively, use a specific email address (such as “jobs@yourcompany.com”) for all applications. Create automated Trello cards from Google Forms responses using Zapier. If you’re using email, use this IFTTT recipe to create Trello cards. Once a candidate’s resume and portfolio pass initial screening, start an initial video interview. This is mostly to get to know the candidate better. The process after this will vary from business to business, but a common step is to give the candidate a test task. Once the test task is successful, invite the candidate for an in-depth interview, preferably with multiple stakeholders involved in the decision-making. After this, it’s a good idea to get the finalist(s) to meet with the whole team via video conferencing. This will help both the candidate and your existing team get to know each other better. Given the context - remote work - this e-meet can be vital to your success. When you find the right candidate, send over a job offer and cue the celebratory drinks. For further reading, check out Remote.co’s roundup of actual hiring processes used by real businesses. Hiring remote workers is hard, but managing and keeping them happy is often harder. If you’ve done your homework and focused on hiring motivated self-starters, your management problems will be cut in half. Since communication is one of the biggest bottlenecks in remote creative work, it’s important to set expectations and protocols early. Yellow Alert: Such as difficult question you can’t answer, need help hitting a deadline, request for something we can’t do. Use HipChat or text message to get an answer within the next couple of hours. This helps set expectations and gives new hires a process for dealing with problems. Chat: Skype, Slack, Messenger, HipChat, etc. Project management: Workamajig, Trello, etc. If you have team members from different nationalities and backgrounds (not uncommon in remote creative teams), try to encourage more visual communication. This can remove some of the uncertainty from written communication. Emojis, GIFs - anything that helps communicate thoughts and feelings without the barriers of words will help. Who should a new hire contact in case of a problem? What is the accepted workflow to complete a task? What is the process for managing a new project from scratch? Mapping out all these processes will make it much, much easier to onboard new hires. A comprehensive internal wiki can be instrumental in a smooth transition for remote creatives. Dropbox’s Paper is a solid tool for managing this documentation, especially for creative work. Alternatives include Confluence and Papyrs. Or you could simply create a shared Google Docs document. While remote work saves you money and gets you access to better talent, it often comes ats the cost of team morale and collaboration. There is no “one-size-fits-all” solution to keeping a remote team motivated. Different approaches work for different businesses. Weekly “all hands” meetings to keep everyone updated. Informal social sessions over video to promote teamwork and bonding. Annual or biannual “all hands” vacations. This is a regular feature of most remote companies like Buffer and Zapier. Use the money saved over from your office budget for this. Avoid micromanagement. Remote workers choose to work remotely because they value autonomy. When you micromanage, you remove this benefit. Hiring, managing and retaining remote workers is challenging but also incredibly rewarding. What exact process you use will depend on your business and its requirements. For most agencies and startups, however, a hiring process that focuses on finding independent workers who value the same things as your business will work. 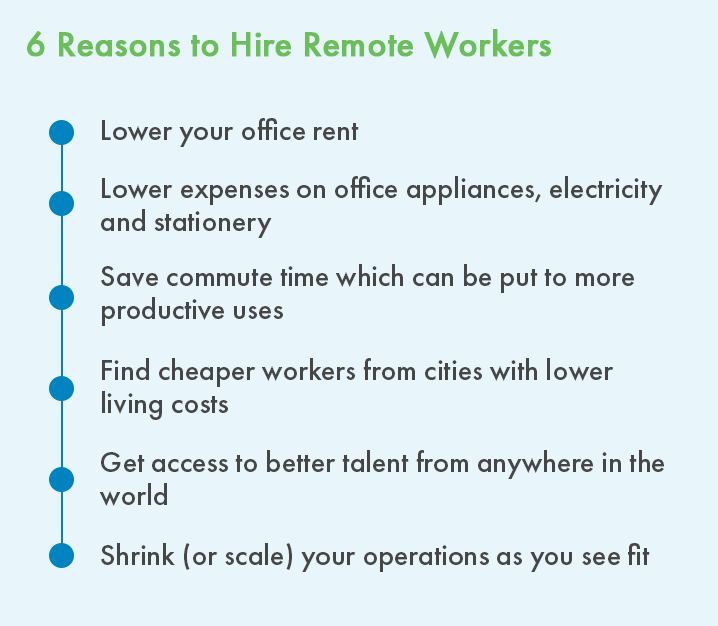 Hiring remote workers saves you money and gives you access to better talent. Hire freelancers for short-term or one-off projects. For anything regular or long-term, hire full-time employees instead. Successful remote workers are motivated self-starters, often with a freelance or startup background. Understand your job requirements clearly before you start writing your remote job ad. Emphasize your business’ values and impact in your job application to attract better talent. Use Trello to manage job applications. 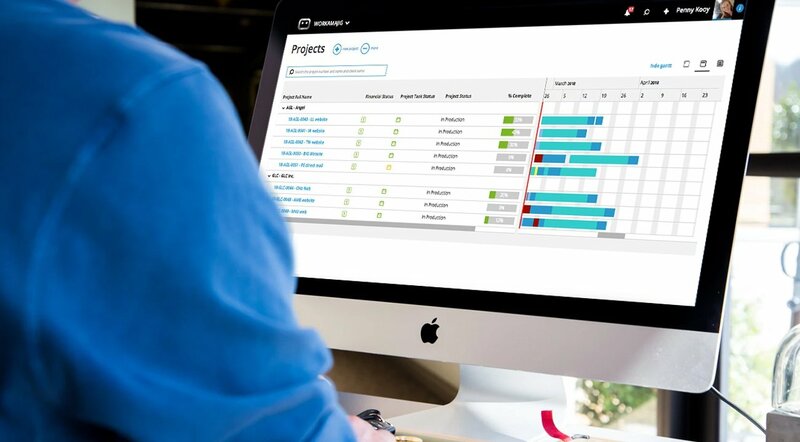 Use chat and creative project management tools to manage your remote teams. Keep your remote team motivated with regular video chats and biannual/annual vacations.